Employee gifts are often a challenge due to appropriateness, affordability and other factors. Our employee appreciation gifts, with their motivational quotes and inspiring messages, are always appropriate and fit into almost every budget. Our exclusive line of recognition gifts are the perfect solution for companies. 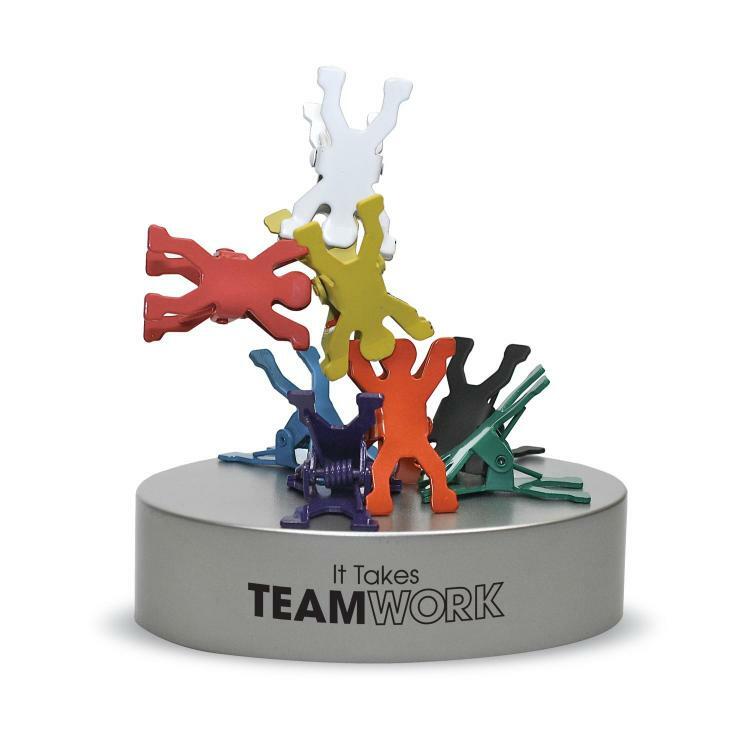 With hundreds of corporate gift products and company gifts for employees to choose from, you are sure to find perfect employee gifts. Looking for a great end of year gift, check out our employee holiday gifts. Bought for team gifts...think they will be a big hit. Very unique and fun. Looking for 15 items as gifts everything either was to small, not unique or way out of budget. Then, I found these...unique, perfect message and extremly afforable!! Once received I was so impressed with the detail and product!! My team will be so excited to have one of these that will last a lifetime and continue to remind them to be their best every day!! Thanks for making products the best every day! Showing employees you care shouldn’t just be for Employee Appreciation Day — recognizing employees year-round helps improve employee satisfaction and retention for your business. Research shows a top reason employees leave their jobs is because they do not feel appreciated. By giving gifts as awards for the effort employees put in, and offering meaningful employee presents for special occasions, employees feel the business cares about them. Recognition can be done when employees have been working hard or demonstrating outstanding performance. However, any forms of recognition or appreciation need to be immediate, positive, and certain. The value you instill in employees increases productivity and improves sentiment throughout the company. The competitive nature of businesses today means increasing competition to attract and obtain employees for an organization. If a business does not take any time to recognize the achievements of employees, that can result in a depressing workplace. One of the main aspects to keep in mind is the need for proper employee engagement and recognition. Proper preparation is needed to show a business has taken the time to effectively recognize all the employee within the organization. Employee Gifts are often a challenging proposition due to appropriateness, affordability and a multitude of other factors. Once again, Successories.com truly hits the mark - Employee Gifts with motivational quotes and inspiring messages are always appropriate and fit into almost every budget. With hundreds of gift products to choose from, you are sure to find perfect Employee Gifts at Successories.com. Gifts can also be given if you know an employee has recently overcome a challenging personal issue, such as experiencing a death in the family. By showing your team you care, you help to nurture the relationship between the employee and the business, which increases employee trust and loyalty in your company. Functional gifts from Successories like highlighters, mugs, stress relievers, padfolios, and pens remind employees who use them that your business invests in their well-being. Gifts featuring motivational statements help to keep employees on track as they’re working. Special, unique, and personalized mementos like vases or desk clocks are items employees will treasure for years to come. The possibilities of how to express your thanks are endless with Successories. As you can see giving employee gifts doesn't have to be a daunting challenge. Successories.com makes employee gift giving fun, motivational and most importantly functional. Depending on your organization and what else you are doing to show your employees appreciation, expect to budget between $10 to $20 per employee. Best gifts are ones that are useful year round (drinkware or tote bags) and say "thank you" every day such as gifts that are decorated with the design "Thanks for all you do!". If you are looking to recognize executives and managers as well, personalized gifts and a budget of $50 - $100 is appropriate. This is a great time to give years of service awards to employees who have been with the company for over 5 years. Giving employees gifts is just as rewarding for you as it is for your employees. You get to shop for items you think your employees will love, and presenting your employees with the gifts/awards helps remind you how valuable they are to your business. When you shop with Successories, your satisfaction is completely guaranteed, or your money back. Make an investment that matters to your employees, to your relationships, and to your bottom line. Shop employee gifts now.